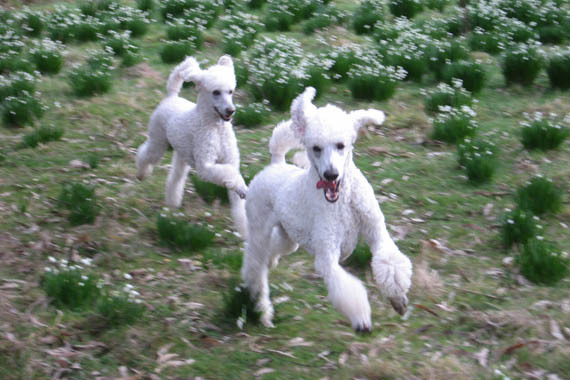 Anyone who knows me, knows I love my poodles. Even DJ has a strong suspicion that in case of fire, I’d get the dogs out of the house before I him. There’s something just so beautiful about them. I’ve always been a poodle lover. From the first time I ever saw a photo of a toy poodle. Then, after reading Jacqueline Suzanne’s Every Night Josephine, I was hooked forever. 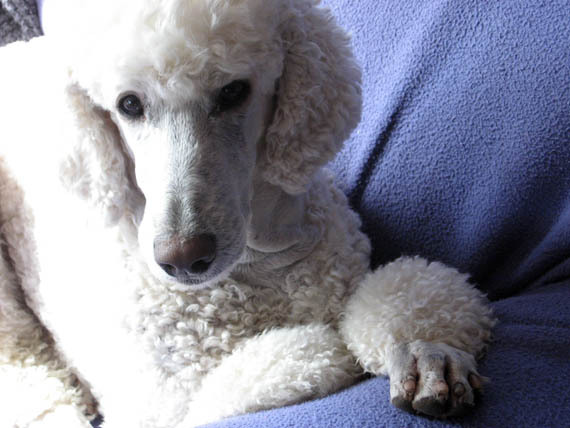 Unless you’ve had a poodle you probably have no idea what I’m talking about, but let me just say – every man I’ve had in my life who ‘poo-poohed’ at the thought of poodles, fell in love with them. 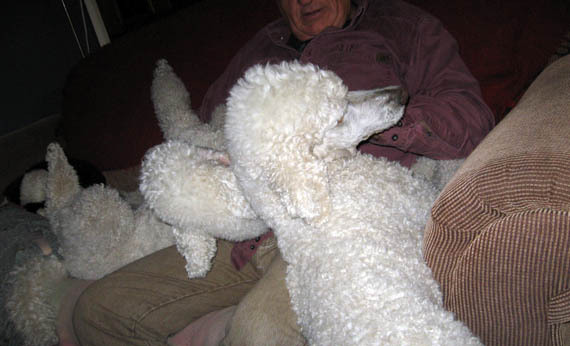 At the end of any relationship I’ve had since having poodles in my life, it was the poodles the guy was sorry to leave behind. (sniff). For myself, I love their beauty. Their elegance and grace, their humour and energy and the way they make me laugh. Feeling their curls under my hands is enough to calm me if I’m stressed and lift my spirits if I’m down. The fact that they have no doggy smell and they don’t shed is a definite bonus! More grooming, but less vacuuming. Gotta love that. I’m never lonely with poodles in my life. The day I held a toy poodle named Scooter in my hands when I lived in Melbourne, far far from any family, I knew I was no longer alone. With him I had my own family. Since then I’ve never been without a poodle in my life. More than one usually. I currently have only Montana and Romeo, both of whom were born in my bedroom. All dogs are beautiful I just love dogs. 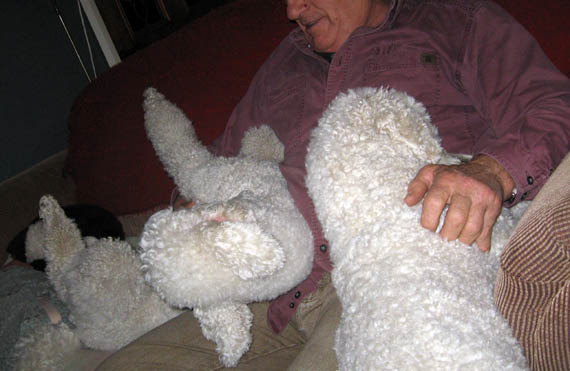 I see the heart in all of them, not just poodles. But my babies are my family and I love them a LOT… so please forgive my ‘doting mother’ ramble. 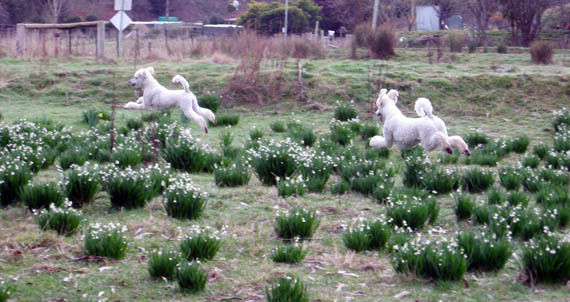 Then in the bottom paddock, leaping over the snowdrops. 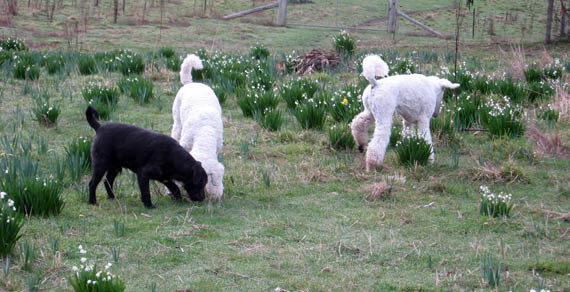 This paddock fills up with snowdrops and daffodils every year. 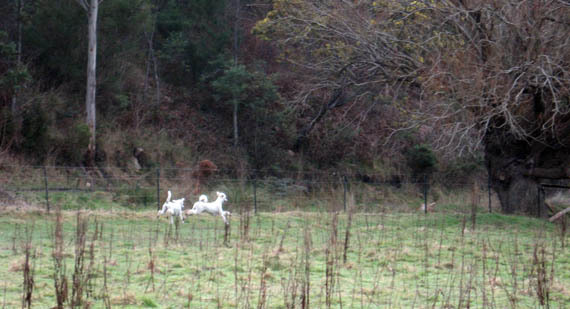 Barney can mostly keep up with the poodles. Mischa stuck near us. 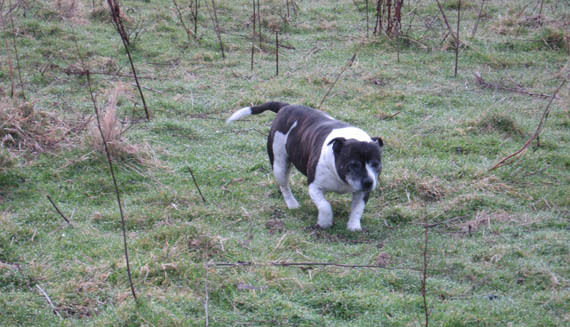 She’s too slow to run with the dogs with longer legs. 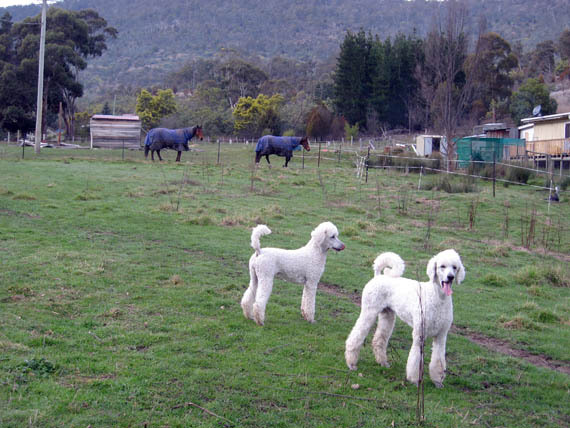 A day ‘on the land’ with the dogs and horses… my idea of heaven! 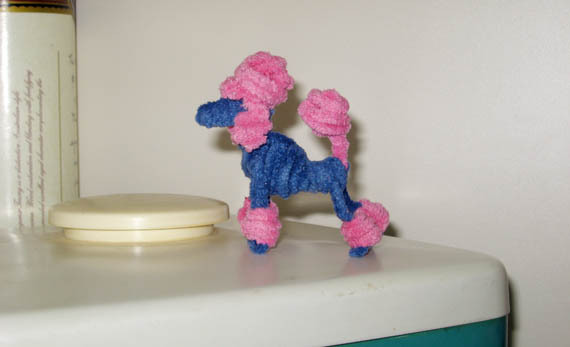 I’ll leave you with a fun little pipecleaner poodle I made a while ago. This entry was posted in Dogs, family by zefiart. Bookmark the permalink. I like the hover-poodle shot. They always have such joy in them, don't they? 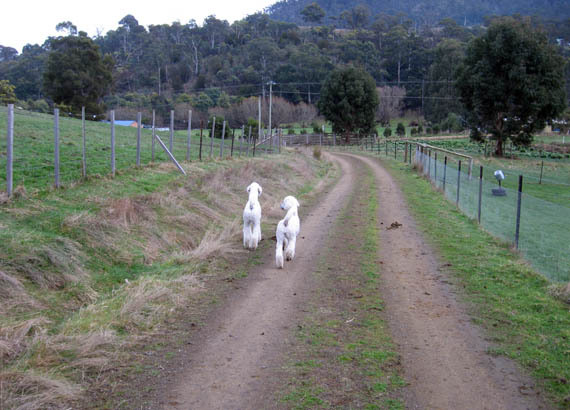 Wish I could take my monsters to the farm for a gallop…if it ever cools down, I might. awww…thanks for sharing photos of your “babies”~ I have furbabies too. They are pure mutts, LOL. thanks June! Pure mutts are gorgeous too! All dogs are special. They give love so unconditionally.